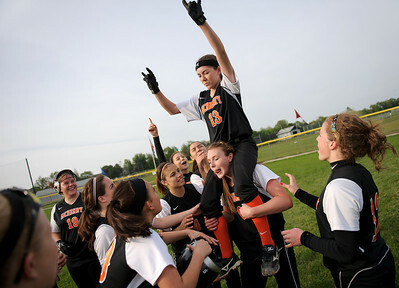 Daniel J. Murphy - dmurphy@shawmedia.com McHeny's Kristin Koepke (center) carries Carley Mattson #13 after here game winning base hit in the seventh inning Monday May 7, 2012 at Cary-Grove High School in Cary. McHenry defeated Cary-Grove 1-0. 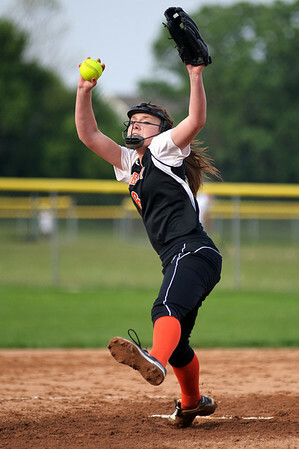 Daniel J. Murphy - dmurphy@shawmedia.com McHenry pitcher Kristin Koepke delivers a pitch to Cary-Grove's Jamie Deering in the sixth inning Monday May 7, 2012 at Cary-Grove High School in Cary. McHenry defeated Cary-Grove 1-0. 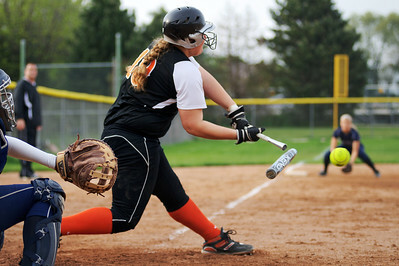 Daniel J. Murphy - dmurphy@shawmedia.com McHenry's Kelsea Cichocki #19 breaks a bat on a base hit in the seventh inning Monday May 7, 2012 at Cary-Grove High School in Cary. McHenry defeated Cary-Grove 1-0. McHeny's Kristin Koepke (center) carries Carley Mattson #13 after here game winning base hit in the seventh inning Monday May 7, 2012 at Cary-Grove High School in Cary. McHenry defeated Cary-Grove 1-0.